A broad conversation with the community to define a vision of success for all students in all schools will establish common expectations for what students should be able to do to succeed in college and career. Communities are more likely to support dramatic school change such as restarts when community members feel urgency to improve the status quo and are encouraged to redefine their expectations for what students and schools can achieve. Restart initiatives are more likely to be successful in meeting the needs of students and to achieve sustainability if the process for implementing restarts is developed with community input. 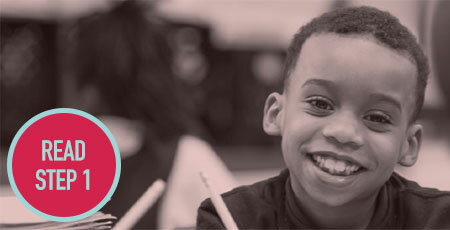 Denver Public Schools published its “Denver 2020: Every Child Succeeds” strategic plan in 2012. The plan’s goal for 2020 is to establish “great schools in every neighborhood” with 80 percent of students attending a high-performing school, as measured by the district’s school performance framework. The plan was developed with extensive community input, including multiple community meetings, surveys, staff gatherings, and focus groups. The plan did not specifically identify restarts as a core strategy for achieving the 2020 goal, but established a vision for school excellence as the foundation for bold school transformation initiatives that included school restarts, closures, and the creation of innovative, autonomous schools. Learn more here about the process for developing the Denver strategic plan. As part of its five-year Imagine 2014 strategic plan, the School District of Philadelphia committed to a process to transform historically underperforming schools into successful neighborhood schools. In order to collect broad input on a restart process for turnaround schools, the district established a citywide Renaissance School Advisory Board (RSAB) of more than 60 community leaders, educators, parents, education advocates, and district leaders, which provided recommendations on three critical restart elements: school identification, turnaround provider recruitment and selection, and community engagement and communication. The RSAB set up the Renaissance schools process, leading to its first set of seven district-to-charter restart schools in fall 2010. By fall 2016, the Renaissance schools initiative will have led to the restart of 23 schools through six implementation cycles. The initiative has persisted despite targeted opposition and severe public education funding reductions. Find resources and information about what lessons the RSAB learned here. See more resources related to Step 1: Envision.